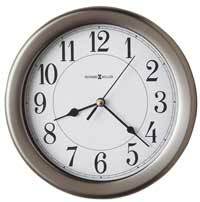 The Bulova C4811 Copper Classic Wall Clock features a sophisticated contemporary metal design contrasting a brushed-copper case with a black molded dial and raised hour and minute markers filled with a copper resin. It includes a protective glass crystal. Requires (1) AA battery. Size: Dia. 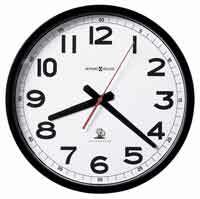 : 12.5" D: 2"
Clocks for sale at The Clock Depot including the C4811 at discount prices.